This level have normal difficulty and you need to use simple combo trick to complete this level easily. 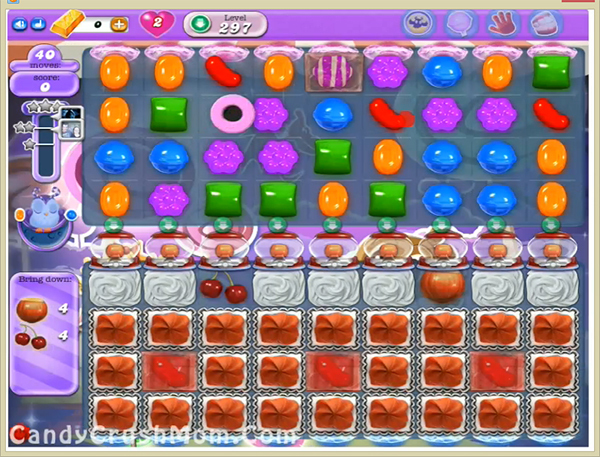 For this level you need to make wrapped candy and striped candy and then make combo of them to break all blockers. After moon struck try to use colorbomb combo to break more blockers without unbalancing the Odus the odus owl. After use striped candy near to ingredients to take them to bottom. We completed this level with 141620 score using special combos and other technique that we share above and luckily got single star score.